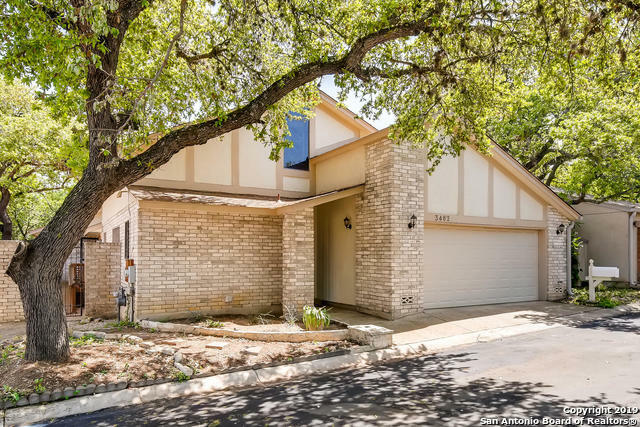 All Wellsprings subdivision homes currently listed for sale in San Antonio as of 04/24/2019 are shown below. You can change the search criteria at any time by pressing the 'Change Search' button below. "Charming zero-scape 100% brick home with two large oak trees shade this 3 bed, 2 full bath hm. Large family room wh fireplace, wet bar and lots of built-in cabinets. Living and Master boast cathedral ceilings. Separate dining and breakfast rooms. The 3rd room is upstairs, large, with two cedar closets and can be used as a loft or office. Mst Bath has a large walk-in shower with handrails. Master bedroom opens to a private courtyard. 2nd large side deck has an entry from breakfast-area. Vacate 4/"